I nearly missed seeing the Statue of Liberty from the deck of the QE2 while cruising into New York harbour years ago. I’d risen before 5am to see her and was excitedly waiting when cries of “Liberté ici!, Liberté ici!” from a French guy alerted me that I was on the wrong side of the ship. I scurried over just in time to see the sun glinting on her, a goosebumpy moment. 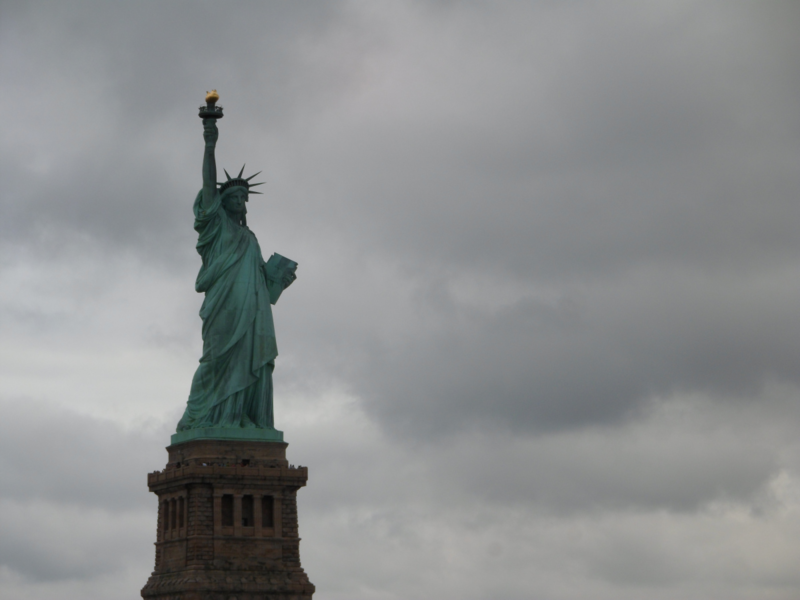 She’s an impressive lady, rightly one of the nation’s iconic landmarks. But she’s wrongly used as a poster girl for open-door immigration. Lately it is often said that President Trump’s temporary entry ban for citizens and refugees of seven Muslim-majority countries, now six, defies the spirit of the US epitomised by Liberty. 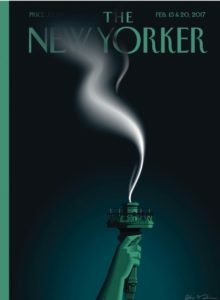 The New Yorker had a cover showing her flame extinguished. “There is no fine print on the Statue of Liberty. America must remain open to people of all faiths and backgrounds,” tweeted Madeleine Albright, a former US Secretary of State. And one journalist tweeted an image of President Trump groping Liberty. But they’ve got her all wrong. Lady Liberty is no Liberal. Understandably, she became associated with immigration because so many people entered the US under her gaze, headed for America’s biggest immigration inspection station, Ellis Island. But she was never intended as symbol of welcome. Liberty, broken chains at her feet, was a gift from the French people to the United States to honour the two nations’ shared values of liberty. She was a signal to the world to fight tyranny. Her message would have been the same if she had ended up in Philadelphia or Cleveland – both possibilities when New York was having trouble raising money for the pedestal. So how did she become entwined with humanitarianism? It’s to do with the power of poetry. An American poet and advocate for Jewish refugees, Emma Lazarus wrote it for an auction to pay for the pedestal. It played no part in the statue’s opening in 1886, and was pretty much forgotten. The engraving was only put inside the pedestal 17 years later after a campaign by a friend of Lazarus to memorialise her. The poem drew scant attention until popularised in interests of national unity during the Great Depression, and then by Yugoslav-American journalist Louis Adamic to highlight the refugee crises caused by the Second World War. Eleanor Roosevelt quoted Lazarus in support of John F. Kennedy’s 1960 presidential campaign, and in 1965 President Lyndon B. Johnson used the statue as a backdrop when signing pro-immigration legislation. A myth was born. But Lazarus’s “golden door” was never really open. Before Liberty went up in 1886 there had already been the first of a series of major immigration controls, an 1882 act banning Chinese immigrants. They culminated in the 1924 Immigration Act, putting a quota on immigrants of two per cent of the total number of people of each nationality as of the 1890 census. And a few, reaching the US after arduous journeys, were deported on grounds including physical and mental unfitness, or the chance they could become burdens on the state. Ellis Island was sometimes called ‘The Island of Tears’ or ‘Heartbreak Island’ because families and friends were so frequently separated. Once processed, immigrants faced downright discrimination – often from protestants who saw their forebears as settlers rather than immigrants. The US may be a nation of immigrants, but it has a long history of marginalising newcomers, as they arrived one after another in waves from around the world. Liberty makes Johnny-come-latelies do time to prove themselves. In the 1850s, the US’s first nationalist movement accused German and Irish Catholics, controlled by the Pope, of overrunning the country. It wanted stringent immigration restrictions, the exclusion of foreign-born peoples from voting or public office, and a 21-year residency requirement for citizenship. Italians were often denigrated as ‘coloured’. The largest mass lynching in US history was in 1891 of 11 Italians whom the New York Times called “sneaking and cowardly Sicilians, the descendants of bandits and assassins”. Echoes of anti-Italian prejudice were still going strong in 1946 as evidenced by the movie It’s a Wonderful Life. 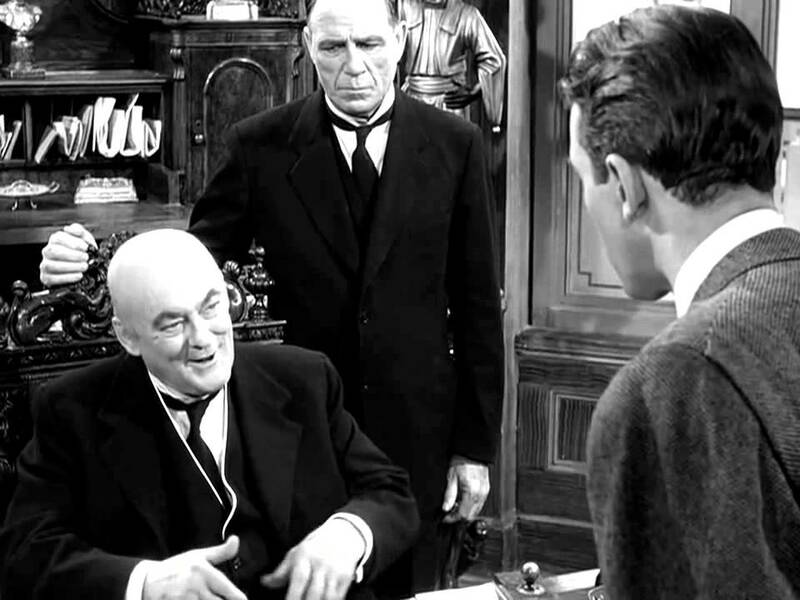 Mean Mr Potter tells George Bailey that he was “frittering his life away, playing nursemaid to a lot of garlic-eaters”. President Kennedy, the first Catholic head of state, eloquently pierced the Liberty myth. In his 1958 essay, Immigrant Nation, to the words “Give me your tired, your poor, your huddled masses” he added “as long as they come from Northern Europe, are not too tired or too poor or slightly ill, never stole a loaf of bread, never joined any questionable organisation, and can document their activities for the past two years”. Still, the US has had great success in assimilating arrivals, largely by encouraging them to think of themselves as American first and foremost. Its motto is e pluribus unum, “one from many”. I’ve had it easier than most immigrants. I am white, western, middle-class and I speak English. My partner Bill and I are sometimes accused by Americans of being posh, or superior, and once a driver that Bill had innocently annoyed yelled “go back home, limey”. However, for the most part I feel welcome. Indeed, I often call myself an immigrant just to raise the consciousness of those who don’t think of me as one. There is a delicious irony about Liberty. Barry Moreno, an historian of the statue, says the architect Frédéric Auguste Bartholdi first intended her to guard the newly-opened Suez Canal in Egypt. Early models were called ‘Egypt Carrying the Light to Asia’. When the idea was rejected, he recycled his work. And Liberty’s original look? A veiled Arab peasant woman.